One of the most difficult decisions in tight budgets and deciding how to spend what little technology money we have.If your school or district is like mine, you just don't have money to spend on iPad apps that won't be used. I am not sure how useful these Smart Rules for Selecting iPad Apps are, but they have guided my decision making when looking for iPad apps. Functionality: In considering the functionality of an iPad app, I examine its functionality by asking a few simple questions. a) What can I (we as educators) do this product? b) What problem or solution am I trying to resolve or address with this product? c)Will this application function in a manner to address that need? By approaching the selection process from this functionality perspective, we only look at whether the product meets the need or needs we are trying to address. The product might have a lot of extra bells and whistles, but inadequately meet our or my needs. Accessibility: Can I access the data or contents or even the app using multiple devices? What is important for me as a user is being able to use the app and its data whether I'm sitting at my desktop or holding an iPad. As a use I want to be able to use it across all of my devices. I do not always have my iPad handy or it may needing charging, but I still need to work with the app or its data. I need to be able to access it through the web, on my smartphone, as well as my iPad. Difficulty of Use: Apps with steep learning curves are a waste of time. I should be able to access and use the application without lengthy excursions through user manuals or online how-to pages. User friendly apps are what I need. If it takes hours to figure out how to use it, it is a waste of time. My advice to iPad app designers? Keep it simple! Purpose: Purpose is similar to functionality, except functionality points more to the app. Purpose has to do more with me and how I want to use the app. What will the app do for me as a user? Will it simplify a process? Or, will it make a process more effective for me? I should be able to use the app for the purpose for which I want to use it. 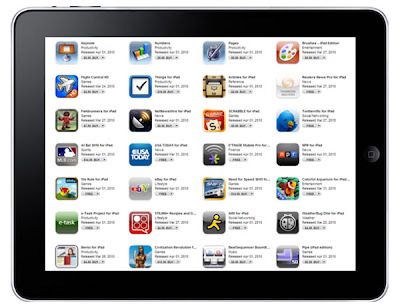 When the iPad apps are free, obviously selection is not an issue, but if you are selecting multiple paid apps, the expense for those apps can increase substantially. As more and more tablet and iPad devices find their way into schools, deciding on which iPad apps to invest in must done effectively. The second rule is the least important. Some apps such the lessons of Elevated Math are designed to be used only on the iPad, thus taking advantage of it's technology. It's not available on desktops because one can't swipe, or use the interactive functions. And it's not available on the iPhone because that screen is too small and would not accommodate the built-in whiteboard. If an app functions on multiple devices then it not designed to function optimally on one. Purpose #4 is probably the most important selection rule. In this case multiple purposes would make an app more desirable and cost effective. For instance, using the Elevated Math app as an example, this app can be used for direct instruction to a classroom, but it can also be used as an intervention tool, freeing a teacher's time from individual tutoring of a student.